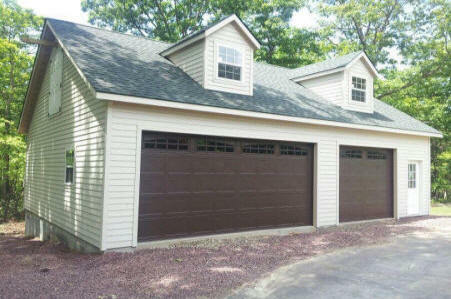 24' x 24' (2) car garage, Ithaca, New York. Standard Garage Package. 28' x 36'wide, Lebanon, New Jersey. 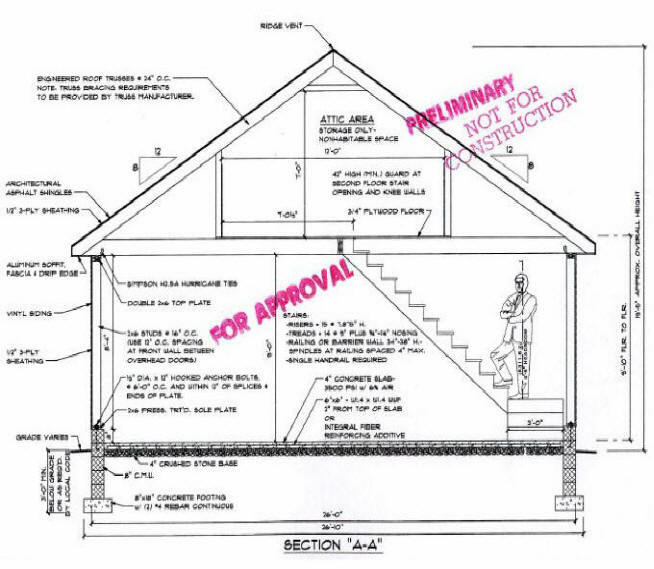 Options include 8/12 Attic Truss, Dormers. 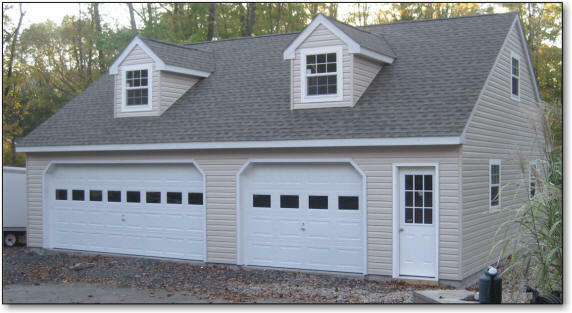 Its your garage....you get to design everything. 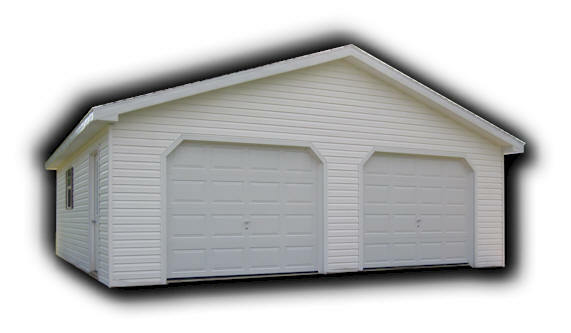 Each Garage is designed specifically for the owner, Our engineer structurally details each garage to meet or exceed your local building code. 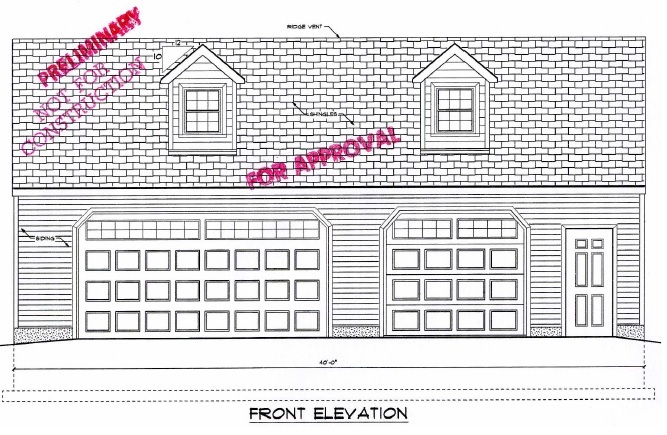 26x36 Including Site Work, Bear Creek, PA.
From Engineering to reality...We take your garage project from ideas on paper to final inspection from the building department. 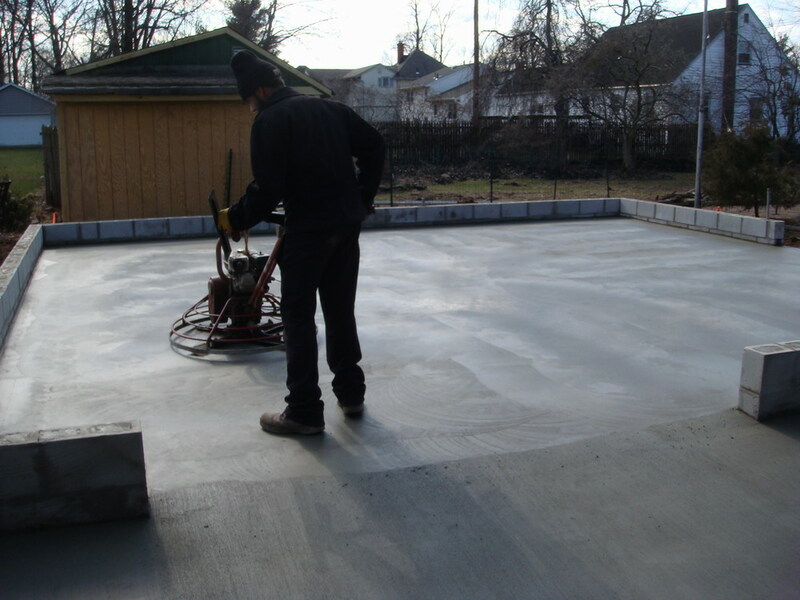 You can act as the General Contractor and get the engineered drawings, permits and site ready with concrete. We would come in for the wood part and build. 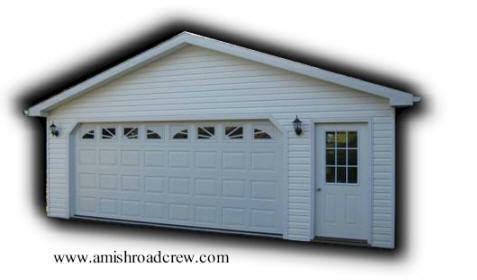 Call us today to get a quote for the structure only. We have expert advise to move you in the right direction. Actual building installation with our (6) man Amish Crew is (1) DAY. 26' x 26' (2) car with lots of extra room for toys. This is our standard garage. (2) Car attached, built in August of 2009. 12/12 truss with second floor. 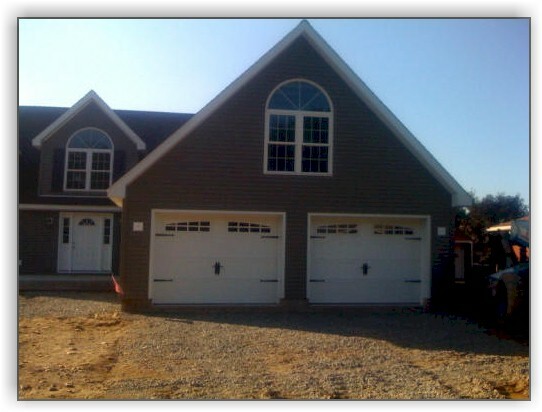 Installation of the garage (excluding concrete) took (2) days. 24' x 34' Howell, N.J.
25' x 25' Trenton, N.J.